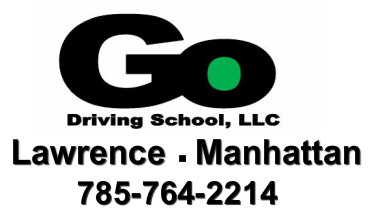 Thank you for registering for driver education. Your information has been submitted. We will be sending you an e-mail within the next few days to re-confirm your class schedule. Please be at our office thirty (30) minutes early the first day of class to complete the DE99 Kansas Driver Education Permit and review the questions answered with your registration. Bring proof of lawful presence. See below for documents that qualify. Bring glasses or contacts if worn. We will test vision. We ask parents to stay about 15 minutes after the first class starts while we go over expectations and the Kansas graduated driver's license, and answer questions. On Saturdays, lunch is noon-1 PM, "on your own." There is a refrigerator and microwave available. Kansas Department of Revenue requires us to prove that students are in the United States lawfully and keep proof of lawful presence in the student file. We cannot submit the DE99 information until we have this proof. If the student is not a U.S. Citizen, please provide a COPY of at least ONE of the following items. Also, the student must apply for a driver’s license more than 60 days before your visa expires. Thank you again, and we'll see you soon. Contact us if you have any questions.